In June during the National Agricultural Alumni and Development Association (NAADA) national conference hosted by the University of Idaho, the "Ohio State ATI Pennant" brochure was named the winner of the "Multimedia & Promotional Materials Division - Specialty Items/Give-aways" category of the Projects and Publications awards. 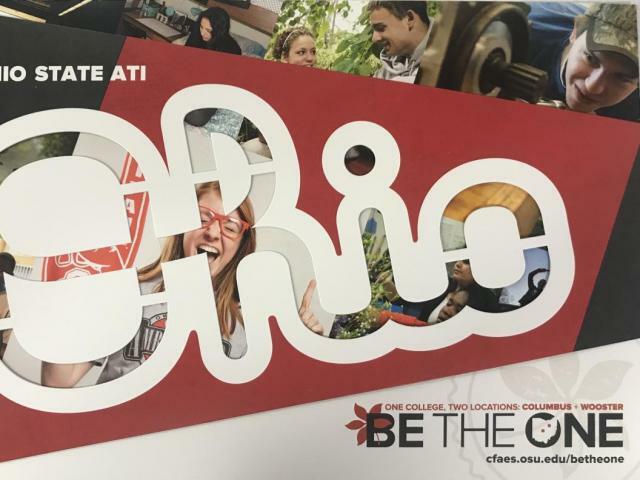 This piece was designed by our CFAES Marketing and Communications team and is used by the ATI admissions staff at college fairs and other recruitment events. You can view a complete PDF of the publication here, or stop by the admissions office and see it in person!